Sorry to have gone on hiatus again. Summer has been crazy around here. Lots of travel, lots of home repairs, lots of cleaning from said home repairs…. My oldest started school this year, and I’ve honestly been looking forward to an enforced schedule to regulate our days. Many people feel like this time of year is almost like a New Year’s, a time for resetting and making goals. Hopefully, you are trying to get into a groove with menu planning, eating healthy, etc. Here are a few tips that have been helping me lately. 1. Find something you WANT to cook. We all need lots of quick meals in our arsenal. But, I think it is a good idea to find something that you really want to cook/make that maybe takes more time. 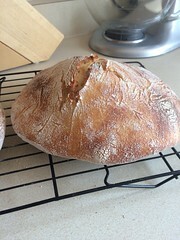 For example, I recently grew my own sourdough starter. I’ve used it to make bread, waffles, pancakes, and pizza crust. Does it take time? A little, but actually not that much active time. The key was I WANTED to make it. So I didn’t mind the time. Think outside the box: homemade nut butters, jam, curing/smoking meat, bread, sauerkraut. Maybe it is taking time to stock your freezer with items. But think of something you’d be willing to spend time cooking. I bet you’ll find the time. 2. Think through all the food you need when making your grocery shopping lists. Most kids need to take a snack to school. Maybe you’d have a better day if you took a snack with you to work. Make sure you have accounted for these in your shopping. If you don’t buy healthy snacks, they won’t magically make it into bags. It seems like a no brainer, but it’s important to think about it. One box of crackers and one package of string cheese isn’t going to keep you all going for a week. 3. Try to eliminate decision making. Planning a menu can be a lot of work. Try to streamline or simplify where you can. We always eat breakfast for dinner on Wednesdays. Tuesday is leftover night. Maybe every Tuesday can be taco tuesday. Pizza Fridays. Meatless Monday. These systems either remove or simplify the decisions when planning your menu. Help yourself out! 4. Pick one day for a fancy dinner. Our family recently started having a more formal dinner on Sundays. We sit at our nicer table, use a tablecloth, kids get real dishes, use cloth napkins, etc. We are hoping to break out candlesticks. I try to make sure food makes it into serving dishes rather than putting pans on the table. I often try to have a special drink. Taking this time to enjoy food as a family has been great for our relationships. My kids love it and are SLOWLY improving in table manners. And even if the dinner isn’t super complicated, it feels fancy because of our surroundings. Try it! Hope these three tips help you as you go back to school. I’ve got some fun recipes coming soon! 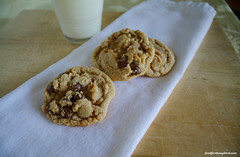 I read this fascinating article by Mark Bittman talking about comfort foods. For each of us, our comfort foods are different. Eating Kraft Mac and Cheese makes me feel like I’m home, while my husband would rather go hungry. One of my college roommates loved macaroni cooked in homemade tomato juice (think spaghetios without ketchup) which I avoided like the plague. But as Bittman points out: it doesn’t matter what your comfort food is. Just think about what little changes make it a slightly healthier choice. Even burgers and fries are likely better for you if you make them at home. Swap your canned vegetables for frozen. Upgrade to a whole grain pasta or brown rice. Comfort foods are important meals for your family. They make meal time a happy, hopefully battle-free zone. Also, they shouldn’t be stressful for you to make. These are the recipes that you no longer look at, you can just make it from off the top of your head. So, as school is getting back in session and your lives are getting much busier, remember to occasionally go back to those comfort foods. Back to school season feels a bit like New Year’s. Time to make goals/resolutions. Time to get back to a regular routine and schedule. I hope menu planning is on everyone’s list of goals for this upcoming school year. I know that menu planning seems like a time-consuming, painful task. I do my planning on Tuesday nights, and I kind of dread that time. But I do know that it saves me time and money in the long run. Here are some tips to make menu planning easier and more useful. – Have pre-set dinner nights. At our house, Wednesday is breakfast for dinner, and Tuesday is leftover night. It is incredibly nice to have two nights I don’t have to think of an idea for dinner. – Look at your calendar while planning. Don’t plan to make a lasagna from scratch the same night that you have 3 places to be. Planning quick dinners for nights with full schedules will save you headaches and fast-food runs. -Don’t plan too much at one time. I think one week is plenty of time to plan at one time. Fresh produce won’t last too much longer than that. Plan less time and you’ll be running to the store frequently. But plan the amount of time that works well for you. – Have contingency meals. 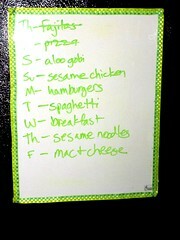 I try to plan an all or mostly pantry or freezer meal at least once a week. (Example: Spaghetti with meat sauce and steamed veggies where the meat sauce and veggies are waiting in the freezer.) Then, if something comes up, food isn’t going bad. I can even move that meal to next week, making one less meal to plan! – Involve your family. Ask your spouse and kids what they want to eat this upcoming week. If they picked it, you might curtail mealtime battles by reminding your child that he/she requested that meal. – Post your menu somewhere visible. This will remind you what in the morning what is ahead for the day and help prevent the “what’s for dinner” questions from hounding you. It doesn’t have to be fancy, as my menu board above illustrates. Hope this helps and happy menu planning! Please share any other tricks you found to help in the comments. With school starting soon, many of your lives will become busier and full of scheduled activities. Over the next couple weeks, I’ll be sharing some tips to help you keep feeding your families nutritious foods during this time. First stop: lunch. Packing a balanced, healthy, and interesting lunch for your kids can be a huge challenge, especially getting them prepared in the morning while serving breakfast and getting everyone out the door. Here are some tips to help get more fruits and vegetables in your kids’ lunches that hopefully get eaten, too. -Vary up the sides. Even the same sandwich seems more interesting if the sides you send are different. There are tons of different fruits and vegetables you can send. -Prepare in advance. 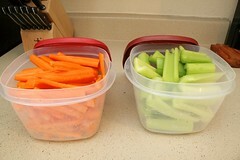 I buy big bags of carrots and bunches of celery every week and get them all prepped that same day. It takes me 15 minutes, start to finish on grocery day. (See picture above for my finished product.) Then, I only have to grab portions out every morning. As an added bonus, I can serve these veggies in a pinch with dinner, too. -Try convenience produce if needed. In the produce section, apples, carrots, blueberries, and many other fruits and vegetables come packed into individual portions already. You’ll pay more for these items than buying and prepping yourself. But if that is the only way you can get them into the lunch box, it is worth the price. -Add a sauce. Many kids love to dip foods into a sauce. You can buy individual packages of salad dressing or peanut butter to throw in lunch boxes. Or buy little reusable containers to send little portions for your tike. The few extra calories for the dip are not as important as all the nutrients they would miss out on if you skip the produce. -Try dried fruits and vegetables. Dried fruits are often sweeter, making them more appealing to kiddos. Veggie sticks, crisps, and chips abound on the market. Many of these contain quite a bit of sodium and are not as healthy as regular vegetables. But they can be a good way to mix up lunch time while still focusing your child’s taste buds on vegetables. -If you must, try juice. Juice is not the best way to get your kids fruits and vegetables. But if that is the only way they’ll eat them, it is better than nothing. Just make sure it doesn’t have added sugars. If it is a vegetable juice, check the sodium content. And again, using juice for variety can make lunch time more interesting for you kids. Hope this helps! Happy lunches everyone! In my last post, I discussed the importance of getting enough protein at breakfast and mentioned oatmeal as a protein-rich breakfast. 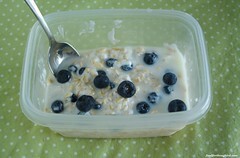 However, many people don’t want to cook in the morning or eat hot cereal in the summer. 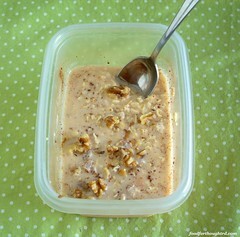 Overnight oats are a great solution and are fast, simple, and endlessly versatile. I will give you the basic recipe here plus three variations I have tried. But you can change up the liquid, fruit, sweetener, and other mix-ins to make it yours. If you are skeptical (like myself and my husband), don’t be afraid! 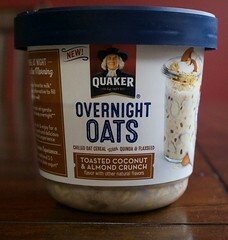 It kind of tastes like eating a parfait with less crunchy granola. We actually don’t mind hot cereal in the summer (interpreted as we eat oatmeal about 5 days a week), but this provides a nice variation to our usual routine. 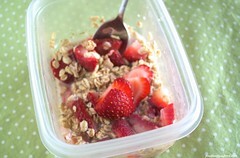 If you are starting to get ready for back-to-school, this could be a great breakfast to add to your repertoire. Prepping it the night before saves you time in the morning. Your kids can even eat it in the car (if you trust them). And a filling breakfast can help them focus at school. 1. 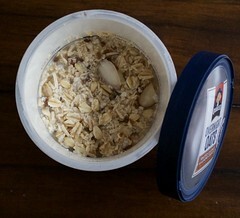 Mix oats, liquid, sweetener, and mix-ins in a sealable container. Place in fridge overnight. Stir again before eating, adding additional sweetener or mix-ins as desired. Recipe notes: The liquid could be milk, juice, yogurt, soy milk, almond milk, etc. I probably wouldn’t sue water, but you could try it if you wanted. It doesn’t look like enough liquid, but it will be. I added more liquid because I was nervous, and I had soupy oatmeal in the morning. For a sweetener, I typically saw honey as I searched online. I’m sure traditional brown sugar for oatmeal would also work. If using a plain yogurt for your liquid, you might want to increase your sweetener amount. Most recipes I saw online said to put in seasonings at night, but add fruit/nuts/nut butters in the morning. I put everything in at night except for the chopped nuts, and it worked just fine. Here are my different concoctions. See the basic recipe for instructions. Low-iodine adjustment: Use juice or water for your liquid.